European sales of the Tesla Model S (shown) outpaced those of the Mercedes S class and BMW 7 series. Germany's premium brands are under pressure to accelerate their plans for electric cars after Tesla's Model S outsold the luxury flagships of Mercedes-Benz, BMW and Audi in Europe for the first time. 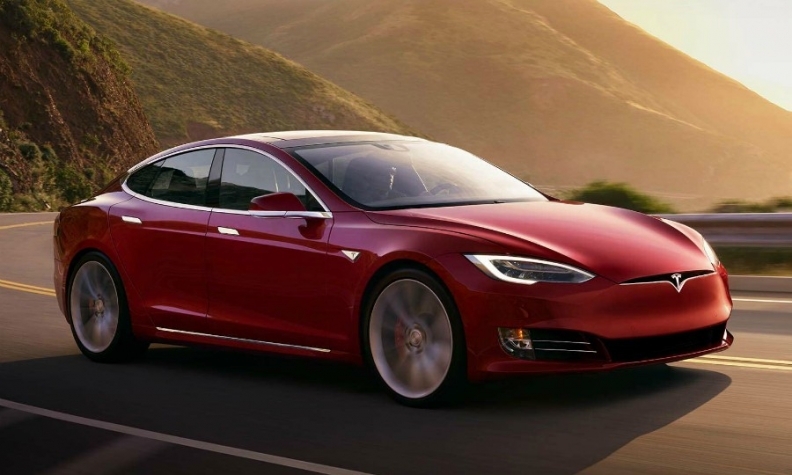 European sales of the Model S outstripped German premium brands' range-topping sedans including the Mercedes S class and BMW 7 series. "This is an alarm for the traditional automakers such as Mercedes. It says a smaller but smarter brand such as Tesla can beat them at home," said Felipe Munoz, an analyst with market researchers JATO Dynamics. European automakers need to address the electrification faster because customers are showing more and more interest in such vehicles and it seems that the traditional industry "can't deliver on time," Munoz said. After years of dismissing Tesla, European luxury brands are now preparing to launch full-electric rivals to Tesla's growing lineup. Jaguar will unveil its first full-electric model, the I-Pace on March 1 ahead of the car's public debut at the Geneva auto show on March 6. Audi is taking deposits from potential customers for its new e-tron full-electric SUV in four European markets and will unveil the model in Brussels where it will be built in August. It will also make some e-tron prototypes available for test drives at the Geneva auto show next month, reports said. The Jaguar and Audi models will go up against the Tesla Model X in the booming crossover market, rather than compete with the Model S sedan. Later this year, Porsche is expected to unveil its Mission E, a performance sedan rival to the Model S, ahead of its sales launch next year. At next month's Geneva show Volkswagen brand will unveil the Vizzion concept previewing a sedan flagship for its I.D. electric subbrand that could be a Model S competitor. Tesla is competing strongly in Europe's large premium SUV market with the Model X. Its sales in the region last year were 12,000, about the same as the Porsche Cayenne and nearly 2,000 more than the BMW X6, according to JATO data. Tesla is slowly ramping up production of the delayed Model 3, a smaller sedan that will compete with midsize and large premium sedans. The car has gone on sale in the U.S. but no sales were recorded by JATO in Europe last year.